John Steinbeck was a prizewinning American author. He received the Pulitzer Prize in 1940 for his most famous novel, The Grapes of Wrath. He is also celebrated for his shorter work – Of Mice and Men, as well as for the highly ambitious East of Eden. He wrote more than a dozen other novels, as well as many short stories and some non-fiction work. In 1962, Steinbeck was awarded the Nobel Prize for Literature. Steinbeck was born in Salinas, California, in February of 1902. His father was the treasurer for the county while his mother had been a teacher. She encouraged her son to enjoy reading and writing. He worked on local ranches during the summer, and realized that human nature had a darker side, something which informed much of his later writing. He graduated high school in 1919, going on to Stanford University for five years, although he did not obtain a degree. His first efforts to become a published author were unsuccessful, so he returned home to work as a tour guide. After marrying the first of his three wives in 1930, Steinbeck lived in a cottage owned by his family, which allowed him to concentrate on writing once again. He had already published his first book, Cup of Gold, the year before, but it was 1935 before he truly achieved critical success. Tortilla Flat tells the story of young men in Monterey just after World War One, as the specter of Prohibition looms large. The book was made into a movie in 1942, with Spencer Tracy and Hedy Lamarr in the lead roles. The income this brought allowed Steinbeck to build his own house. Having made a start with 1936’s In Dubious Battle, which examined the politics behind a fictional labor dispute, Steinbeck achieved much greater success in the following year, when he produced the novella Of Mice and Men. The book received great acclaim from the critics and Steinbeck was now recognized as one of the brightest stars of American writing. This story was also adapted for stage and screen. He followed up in 1939 with The Grapes of Wrath, generally considered his finest work. It sold almost half a million copies in its first year, and was awarded the Pulitzer Prize for Fiction in 1940. Again, a film version was made, starring Henry Fonda. Steinbeck’s clearly expressed distaste for capitalism and support of the New Deal caused some disquiet, and The Grapes of Wrath was banned from some libraries and schools for a time. The author himself spoke of “vilification” at the hands of rich bankers and landowners. He continued his prolific literary output, however, contributing to the Allied war effort in his own way with The Moon is Down, a novel usually taken to be a commentary on defiance and resistance in occupied Norway. The Norwegian government honored Steinbeck with the Cross of Freedom after the war. After the war, Steinbeck returned to writing. Cannery Row, published in 1945, was such a success that the street where the story was set was eventually renamed after the book. Two years later, after writing another novel, The Pearl, Steinbeck went to the USSR for the first of many visits, afterward publishing A Russian Journal, which included photographs by Robert Capa. 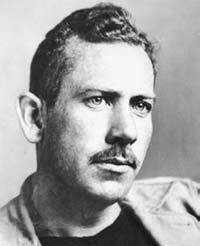 In 1952, Steinbeck saw the publication of East of Eden, a complex treatment of the interwoven stories of two families. Steinbeck himself considered it his finest writing. His final book, 1961’s The Winter of Our Discontent, was written when he knew his time was short. It was not a success. Disappointed, he wrote no further fiction before his death in 1966.